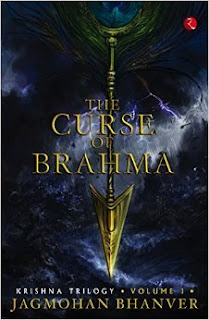 When Lord Brahma, the God of Creation, banishes his star pupil from Swarglok in a fit of rage, he does not foresee that his decision will alter the fate of the three worlds. Mortally wounded, and anguished at Brahma's unfair punishment, his pupil struggles to survive in Tamastamah Prabha, the hell of hells. In time, he becomes the Dark Lord, the most feared figure in Pataal Lok, who swears to destroy Brahma. The power of the Dark Lord soon begins to make its presence felt in the mortal world. Vasudev, the brave prince of Bateshwar, becomes the hunter of Asura assassins; his closest friend, Kansa, almost dies while trying to save his sister from a group of deadly monsters; and the most valiant kings in Mrityulok turn over to the dark side, driven by forces beyond their control. Only one person threatens the Dark Lord's well-laid plans - Devki, the beautiful princess of Madhuvan, who is destined to give birth to the warrior Krishna. Will the Dark Lord allow Krishna - the person who has been prophesied to destroy him - to be born? 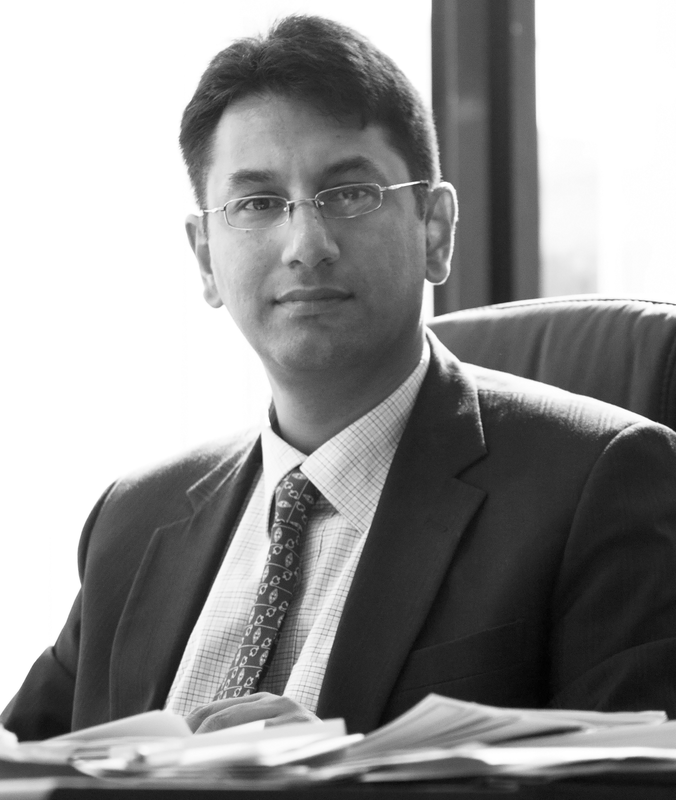 Jagmohan Bhanver is rated amongst the Top 20 Executive Coaches by the GCF (Global Coaching Federation) & is the best-selling author of four books. Jagmohan is rated amongst the Top 20 Executive coaches in the world. He is referred to as the “Mentor’s Mentor” in corporate circles and has mentored Industry leaders, celebrity entrepreneurs, media people and CEO’s at leading organizations. In the International speakers circuit, he is rated among the most powerful speakers in Asia and one of the most popular Asian speakers across the globe by the Worldwide Speaker’s Bureau. His latest paper on “leaders as super motivators” has been finding takers in various corporate houses globally and has also been introduced in top B-schools as part of management lessons for executive MBA’s.Educationist & Public service Jagmohan is the winner of the Indian Achiever’s Award for Excellence in Education in 2009. He was awarded the Rajiv Gandhi Shiromani Award for outstanding individual achievements and distinguished services to the nation. Subsequently, he was also the recipient of the Rajiv Gandhi Excellence Award. He is also the recipient of the Shiksha Bharati Award. We’ve all heard this theory endless times, that one act of kindness can make a man happy who will in turn set upon a chain of kind acts, creating a domino effect and making the world a more bearable place to live in for those people directly and indirectly affected by it. The Krishna Challenge has its genesis in this very theory, however, this time, the challenge urges people to act on it and spread the word about it, which will motivate people to act out of the purity of their hearts, to make life better for people, without expecting anything in return. The second part of the challenge urges the participants to tag or nominate people to take part, which will increasing the circle of influence and encourage people to bring joy, warmth, relief in the life of those they come in contact with, thereby enhancing the quality of life in their eco system. Author Jagmohan Bhanver best describes this challenge as a social consciousness effort, which aims to drive change in society and heighten people’s awareness towards their responsibility as citizens. You may wonder why such a challenge is named after Krishna. What are your most favorite memories of Madras? Thank you so much for hosting me on your blog. I am mighty thrilled to answer your question as Madras is where I lived as a kid and teenager till I got married and moved to Bombay. As I have said this before, I will say it again. You can take me out of Madras, but you cannot take Madras out of me. Topping the list of favorite memories are the visits to Marina Beach. I love the gorgeous blue Bay of Bengal; walking down the long stretch of sand to reach the waves foaming from the sea. It used to be a rare treat as we always went as a family and it was possible to get everyone together maybe only two or three times in a year. But these were truly cherished moments. We used to go near Kannagi statue and have a gala time getting wet. My parents used to have a difficult time getting us back out of the water. Then there were those walks in the many by-lanes of Nungambakkam with a school friend. Sunday evenings when most of the people where glued to the rare treat of Tamil movie on TV, my friend and I used to walk for hours, talking. The roads used to be empty with a rare car or two passing by. The bliss of the silence is unimaginable. I loved those walks. Okay, this one may not be the best thing to talk about with the floods lashing Chennai just now. But I loved the rains in those days. It used to rain heavily over barely three to five days max. Our school shut off with the first big shower. My friends, my sisters (I have four) and I used to get together at my house and play cards. We used to yap our heads off, sipping hot tea in the verandah, sometimes accompanied by hot bhajji. Carefree days indeed! One more memory that I can’t miss mentioning here: Bunking school with my elder sister and taking off to matinee shows with our Grandma. Every week used to have a new release and it really didn’t matter if the film had a good review or not. 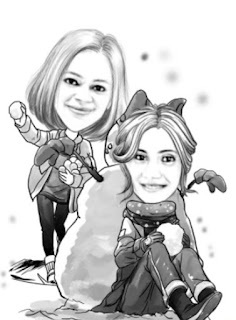 Grandma used to love films and she had inculcated that quality in my sister and me. We used to take off on the weekly treat without fail. Today, the school would have probably dismissed us. But those days, the rules were not too strict. Bunking school was never more fun. 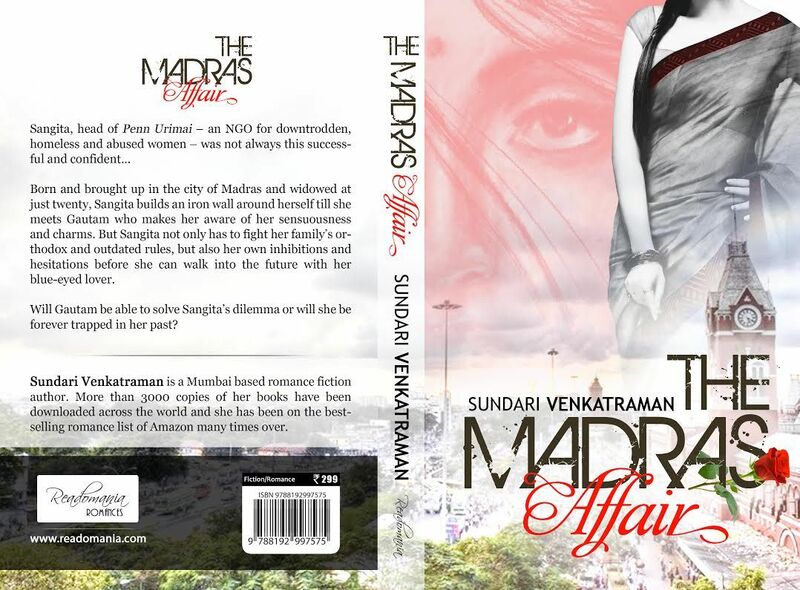 I am so glad that I am able to portray a bit of the city I grew up in to my readers in the form of The Madras Affair. Would love to hear what you readers have to say about my book. HOW I GOT THIS BOOK: I thank Rubina Ramesh of The Book Club for this review copy. And yes, the author too! 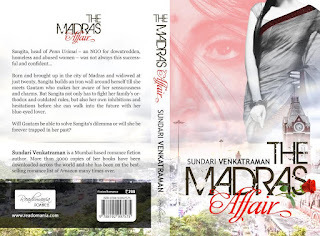 The Madras Affair earns the 'distinction' of being one of the most coveted, sought after books in my wishlist this year. To say it was one of the top five books I so really wanted to read in the whole of 2015 would not be an exaggeration. My reason? I loved everything about the book since I first set sight on it. The title caught my attention in a way not many other books had. And then there was the beautifully designed cover. The color scheme and the font were enough to enthrall me and capture my undivided attention. So it was with high expectations and a mild anticipation that I picked this book up, wondering if the full novel would live up to the hype I had given it. And yes, it was one hell of a ride! The Madras Affair - my first thoughts, after getting over the awe of finally holding the paperback in my hands were 'would this word mean stereotyping my city and make it seem like it was still in those forgotten sleepy nineties?' NO. It did not mean that at all. In fact, it gave the word 'Madras' a million colours and beautiful flavours. The plot is simple. A woman who was abused and hurt in a marriage gets a chance at a second lease of life. Will she be able to overcome her apprehensions and hurt from her first marriage and get over her conception that men are beasts? Will she be able to consider remarriage in a society that still insists on shaving off the widow's hair? The brilliance of the author is in weaving a enticing tale around this simple premise. Sangita is a frightened, confused, young widow. She had an abusive marriage, so much to the point of wishing her husband dead, in spite of knowing that her life as a widow would be no walk in the park. Requests to her parents to save her from her husband's clutches falling on deaf ears, Sangita lives in tormented silence until fate and drunken driving claim Giridhar's life. Everyone involved mistake Sangita's stony silence as shock and her orthodox family members consider shaving her hair off to prevent her from 'attracting' other men. She accepts her ascetic life as a celibate single mother for her son Sandeep. Gautam, the confident and ahem... attractive English Professor who chances upon Sangita in her workplace and immediately takes to her. He does not understand why he is so smitten by this calm innocent woman. He is not deterred by her marital status and wants to marry her. But before convincing others around him about marrying a widow, he has to convince Sangita herself that all men are not hurtful and there are a few who have really honorable intentions. The romance (or the tension thereof) is mingled with the constant battle of obsolete customs and outdated mindsets and the end result is a nice page turner. The storyline had a nice, steady and even progression. The charm of Madras that effortlessly shifted to Chennai and thankfully wasn't portrayed as some age old town filled with slow folk (at least that is how some books portray what was, is and always will be a vibrant city, no matter what name it is known by). I had a chance to participate in a facebook interview where I asked the author few questions, and her thoughtful, clear answers only increased my wish to read this book. And The Madras Affair did not disappoint me one bit! The characterisation of Sangita (though I could not quite agree with half the things she did) was realistic. She was a bit contradictory but that could be due to the constant war between her desirous heart and rational mind. Gautam as a character is honorable, drool worthy and of course, to many female readers, the perfect daydream material. Too perfect, to be honest. But I enjoyed the book best when he displayed his frustration at the lack of proper communication from Sangita. I loved how the author had perfectly captured the war between her traditional, orthodox upbringing where women need their family's permission to even walk out the door and his modernised American style upbringing where he assumes the only two people whose permission is needed are the bride and the groom themselves. Other characters that stood out are Rekha (an unexpectedly supportive family member, considering the relationship she had with Sangita) and Rithika (the best friend, if ever there was one woman to fit that title!). While there were others who supported the young couple and wished them well, these two were the strongest and made the most impact on me as a reader. The language is pleasant. Not many people could bring out the city's and the characters' beauty in such charming words. The characters come to life in front of the reader's eyes and most often than not, pull you in with the details. The story is not categorised as a simple romance because in parallel it deals with serious issues like widow remarriage and how the society (sometimes even the family) treats widows. The social stigma is woven seamlessly with the romance aspect of the story and the constant war in Sangita's own mind between her desire for Gautham and fear of men in general is written extremely well. Most readers who don't realise just how bad it is to be in Sangita's place would be frustrated by her contradictory statements and decisioins but it is a reflection of how she had been conditioned so far versus what she actually wanted to be. Special thanks to the author for writing this part so endearingly, frustratingly well. Overall, a book that I loved. It did not disappoint me. The charm of the cover and the title are nothing compared to the charm of the story. Read this book if you like woman centric stories with a romance element. This is the perfect balance of both. The cover, the title and the mesmerising quality of the story itself. The ending - that gives the readers belief that even the worst of situations can turn best! The last few pages, (though very descriptive, :-P agreed) seem like the director's cut to a movie. Shortening them would not have stopped the readers' feel of the story being complete! I wish there could have been more to read about Gautham's parents. But this is not a real complaint by itself. A read you will not regret - there is charm in the writing that could hold you captivated to the story! Then came the writing – a true bolt out of the blue! She could never string two sentences together. While her spoken English had always been excellent – thanks to her Grandpa – she couldn’t write to save her life. All this changed suddenly one fine day in the year 2000. She had just quit her job as a school admin and didn’t know what to do with her life. She was saturated with simply reading books. That’s when she returned home one evening after her walk, took some sheets of paper and began writing. It was like watching a movie that was running in her head – all those years of visualising Indian heroes and heroines needed an outlet and had to be put into words. That’s how her first novel, The Malhotra Bride, took shape. While she felt discouraged when publishing didn’t happen, it was her husband who kept encouraging her not to give up. In the meanwhile, she landed a job as Copy Editor with Mumbai Mirror. After working there for two years, she moved to the Network 18 Group and worked with two of their websites over the next six years, as Content Editor. Despite her work schedule, she continued to write novels and then short stories and had them published in her blogs. 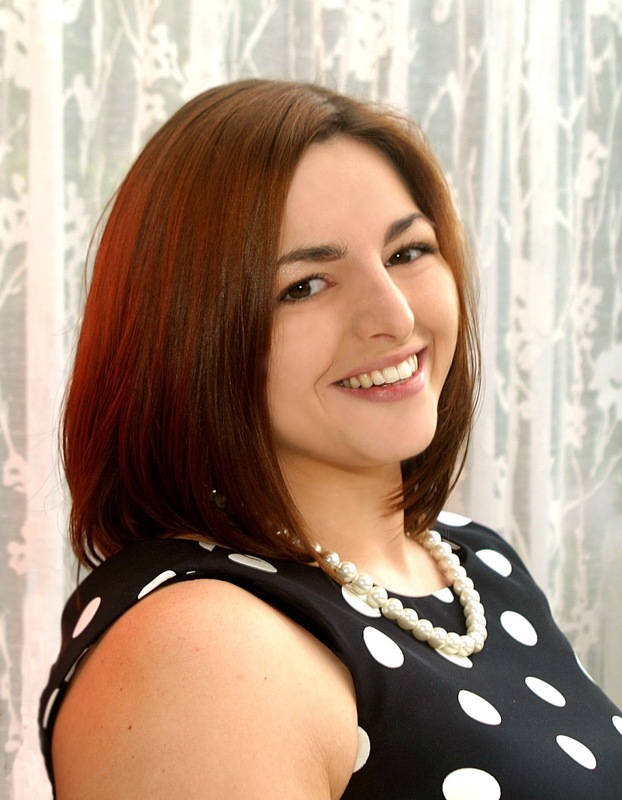 She also blogs voraciously, writing on many different topics – travel, book reviews, film reviews, restaurant reviews, spirituality, alternative health and more. Her first eBook Double Jeopardy – a romance novella – was published by Indireads and has been very well received by readers of romance. In 2014, Sundari self-published The Malhotra Bride (2nd Edition); Meghna; The Runaway Bridegroom; Flaming Sun Collection 1: Happily Ever Afters From India (Box Set) and Matches Made In Heaven (a collection of romantic short stories). Two years ago, after narrowly escaping the clutches of a psychotic serial killer who held her hostage with intentions of crucifying her, San Diego homicide detective Sami Rizzo hung up her badge. Tortured by nightmares of her near death experience, Sami tries to convince herself that social work will fulfil her need to help and protect victims. 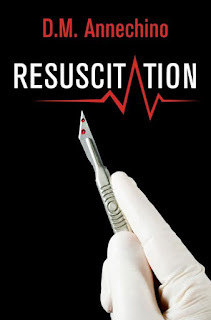 But when a second serial killer surfaces —a doctor who is using his victims as guinea pigs for horrific surgical experiments—Sami abandons her goal to be a social worker for a chance to get back on the force and find this monster. With a little fast-talking, she convinces the police chief and the mayor to reinstate her to the homicide division and begins her hunt for the killer. But as the body count grows and every lead turns out to be a dead end, Sami begins to think that this villain has outsmarted her—until one of the victims survives her ordeal. Suddenly, their cat-and-mouse game takes a sickening turn, and now Sami is the hunted one! There are benefits and disadvantages to reading a book that is part of a series. Especially for such series where each book can be treated as a standalone and therefore must have at least some form of conclusion for the current problem, the author has to get the attention of the reader in me to make me want to read the next one. As a reader, if the first impression of the first book fell flat or below my expectations, it gets a tad difficult for me to patiently look forward to the next book. But I really tried to look at Sami as a strong character and read this book, knowing (obviously) that her retirement was temporary and she will be back on force due to some new serial killer looming on the horizon. This Star Trek quote, according to the author plagiarised from Aristotle, is what this chilling novel is about. Julian is a brilliant doctor who knows his craft. But his breakthrough finds were pushed under the carpet due to the lack of grant. When he approaches someone else for a grant, they refuse the same under the grounds of lack of data. So what does Julian do? He tries to get more data. And how does he go about doing that? He finds hapless, live victims instead of patients who are really suffering. He picks up his 'healthy' victims in public places and takes them to his lair and performs his experiments on them. I should have to agree that Julian has the most realistic and saddening character development of all the characters in the book. He is portrayed as the brilliant doctor who regretfully begins to do this just because his grants were reduced and the 'needs of many' were ignored. But slowly (and though it is predictable, it was nicely written) he starts enjoying what he is doing and indulges in his other basic carnal desires on his victims. When he so 'rightly' remembers his Hippocrates' Oath before killing his first victim, his murders after that seem more like acts aimed at giving pleasure to himself rather than the purely scientific approach. This goes on to show that human weaknesses always overpower morals in the lesser mortals and once the first mistake is made, there is no turning back. Detective Sami Rizzo - seriously traumatised after her crucifixion by a serial killer Simon, gives her job up and tries to go along the 'Social Work' path. But she soon realises that she was not cut out for the profession and would rather be a detective than anything else. On the personal front, her mother is ill and she is not spending much time with her boyfriend. To top it all, her upbringing gives her conscience pricks about living in without marriage. And then there is the presence of a serial killer who is out to kill the public and Sami just cannot sit back twiddling her thumbs while a mad man is at large. She convinces the high and mighty to let her into the job again but her boyfriend has to go back to his only remaining immediate family member who suffered an accident. Alone and clueless, Sami chases the killer. The story unfolds much like this review does. Two different people, each with their own characteristics. One wronged, delusional serial killer and the other a strong, traumatised detective. It has a lot of potential to develop into a complex chase and give the readers an 'edge of the seat' experience. It could have chilled the readers with the villain becoming more and more powerful and elusive and the detective doing everything right and still being outsmarted, only to finally culminate in a climax where the good triumphs over the evil. But it falters heavily in many places. There are novels where even after finding the lair of the culprits, police could find no leading evidence to catch the killer and incriminate him. And then there is this. All it takes is a single thread to get to Julian and once that is done his sloppiness will incriminate him by itself. Then there is Sami herself. While I have got nothing against female detectives undergoing a strong personality struggle and still managing to be realistically strong and weak simultaneously, somehow I am not able to connect with Sami as a detective. I do not want to restate the fact that having read about many strong female detectives before her, she does not live up to what I consider as the requisite of a strongly written female protagonist. But if I do put aside this comparison and for once, read the book without thinking and comparing, Sami has a few very good redeeming qualities. While some people would call this a page turner, I felt that the story followed the predictable path and the twists, when they did come, failed to create a sense of awe in me. To put it in words, when a twist is revealed, the reader should be left reeling with the shock and realisation that it was this way all along and it was only the misinterpretation on their part about what the other told them. Readers should hurry up to reread the book and realise that the facts were, indeed, pointing one way and not the other. But if the same twist leaves the reader with a feeling of 'wait, what is going on here?' the story loses the hold it had over the reader. This is akin to the frustration police might feel when a witness is intentionally misleading them on a wild goose chase. Overall, the writing needs to be a bit more planned and evoke a sense of better connection between the reader and the characters. The language, though correct, sometimes does leave one wondering if it was fitting. Certain metaphors and similies could have been done better to make the reader go 'ah, yeah wow!' instead of 'ewww'. (Yes, that was an intentional usage of lexical fillers.) The book is a good attempt, but falls flat due to too many cliches, unnecessary twists and the lack of interesting suspense to hold the attention of the reader and stimulate their imagination. The subtle but brilliant character shift of the killer from a regretful wronged doctor to the cold, calculative serial killer. The medical details, for which the author has obviously worked hard. Next time around, keeping the identity of the killer a secret for a bit longer can help creating an interest. The twist at the end seems forced and leaves the reader feeling, 'Wait.. What?'. The usual complaint : the book could have a bit more new surprises and twists to offer rather than going in the formulaic route. Removing the focus light from important characters abruptly will not work in the favour of the book and plot (yes, I am talking about Al). 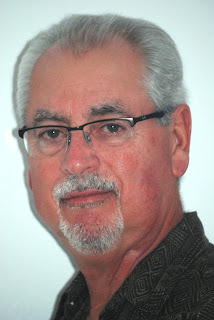 While a strong lead is important, the book's success lies in the strong supporting cast. A one time read. And it failed to impress me much, mostly because I am a loyal fan of this genre and expect better. But for new readers, this book offers some thrill and gore. Based on how much violence you can handle, this book can make or break it. 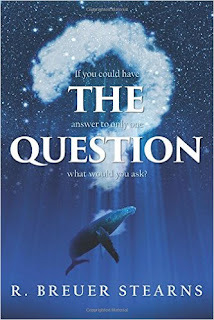 BOOK TITLE: The Question: If You Could Have the Answer to Only One Question What Would You Ask? Hands down, this book has one of the most interesting summaries I have come across in recent times. Though it appealed to the sceptic in me, I took this book simply for the pleasure of reading something confounding and retrospective. The cover image is simple and I think reflects the book's contents well. The chapters are each numbered with a question mark and that, according to me speaks a lot about how this book is going to be. The Question - the one question everyone will ask. What would that be? In this world of more than 7 billion people (whose thoughts alone are more than enough to create a lot of chaos) what would THE question be? Is there anyone who knows what it is? Once the question is known, what would the answer be? What if it wasn't only the humans who participated, but also the other living things - those that we assume are lesser beings? If the above paragraph confused you, you probably would not like this book. The overall tone of the book (that surprisingly manages to do justice to the summary) is thrilling and yet, somewhat retrospective. UNITY - or the power of many people joined together. What would it achieve? Are there people who wish you would not find out THE question? What would they do to prevent you from that? (Yes, these lines are paraphrased from the summary). This was the juncture where I knew the book would turn to terrorism. After all, large scale, uncalled for violence is terrorism, no matter where it originates, who it affects or what the effects are. The opening chapter took me in completely until that one word in the last sentence that alerted me to what was actually being talked about. And from then on, I began reading the other chapters carefully. This somehow attracted me to the book more than the summary, this subtle word play. The beginning chapters are slow and tend to get confusing. But once you get past the hurdle, the book picks up pace. For a thriller, the book takes up too long to set the stage and get people to understand what is what. But even then, casual readers might not pick up a few important hints thrown completely at random and in no particular order. The book concluded ambiguously, much like THE question itself would. To each, his own. The story concludes well but the questions still need answering. To give a word of praise to the book, it sets the right mood for retrospection and analysis. The language is great and the proofreading near perfect, but the first few chapters would work better with tighter editing. The book takes a huge amount of time to come to the point. This can get a bit dreary at times. While setting the scene can be done in minutes in a motion picture, describing scenes takes a lot longer in text. I think this is one of the reasons why the first few chapters seem so long - there are other ways to split up and give the description. A really good book - but not one you should attempt to read on a fuzzy mind, or as a light evening read. It takes more than one reading to appreciate the work that has been put into writing it. Check out the Contest: Try the recipe in the excerpt and click pictures (with or without you). Share it on social media tagging us and win a free copy of the book! The year is 2001. Two young Indian girls arrive in the U.S. for the first time, to attend graduate school and be room-mates. One’s a non-cook. The other’s kitchen skills are strictly basic. As luck would have it, both are consummate foodies. And it’s not just advanced Molecular Biology they’ll come to tackle—the daily challenge is to feed their stomachs…and souls…on a thinner-than-spaghetti budget! Part memoir, part cook-book, Roomies/Foodies compiles the experiments and culinary adventures of Lux and Meg as they stick to their resolve of eating only non-boring food! 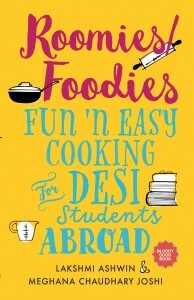 Written in a slick, hip, conversational style, this well-organized handbook bubbles with anecdotes, tips, tricks, cheater’s methods and over 60 lip-smacking recipes. Spanning an easy-to moderate spectrum of skills, Meg and Lux’s “Eureka moments” in their own kitchen will help spare YOU some painful trial and error in yours! One day, exhausted, I fell asleep on the couch in the graduate student lounge at Roswell Park, waiting for Lux. Since we were on the same research campus, we commuted and ran errands together. In those early days, we were joined at the hip. It was a lot to deal with, this new life, with its sudden and crushing study load, having to walk or take public transport everywhere (I missed my Kinetic Safari) and we were glad of each other’s company. We started taking advantage of the subway and other modes of public transport to explore our town, checking out affordable food joints. One such journey introduced us to crépes. I tried making them at home and discovered a really simple breakfast item in the process. Mix the flour with milk and sugar and beat in the egg. Melt butter on a tava* or a flat non-stick pan on medium heat. Pour the flour mixture evenly in a thin layer across the bottom of the pan, coating it completely. Grate the bar of chocolate over the open side of the crepe, in a sufficient quantity to cover the top, while the other side is still cooking. Gently lift up a side of the crepe to see if it is done. It should appear slightly browned and lift easily without tearing. Fold the crepe in half over itself. The chocolate should melt and hold the 2 edges together. Remove and serve with a melting dot of butter on top. Try the recipe in the excerpt and click pictures (with or without you). Share it on social media tagging us and win a free copy of the book! 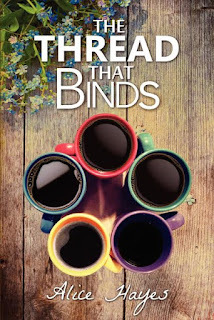 HOW I GOT THIS BOOK:I thank Laura Fabiani of iRead Book Tours for this review copy. 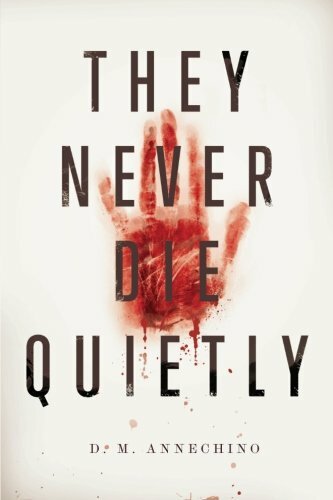 They Never Die Quietly tells the story of homicide Detective Sami Rizzo, who is assigned to head a task force investigating serial killings in San Diego. Simon, the highly intelligent, cunning, and deceptively charming villain, redefines the depths of human evil. He believes God has given him absolute authority to purify his unholy victims through a ritual that ends in a grisly crucifixion. Driven by warped religious beliefs and guided by his dead mother, very much alive in his subconscious, Simon abducts “chosen ones” and holds them captive in a Room of Redemption. There, the victims helplessly await their crucifixion. Detective Rizzo urgently yearns to solve the case and gain the respect of her male colleagues, but her obsession to apprehend the killer on her own clouds her thinking. When Simon outsmarts Rizzo and captures her, determined to make her his next victim, she must employ all her resources—both physical and intellectual—to outwit the villain at his own game. I have always been a fan of the thriller genre. Though there are many classifications under this broad topic, police procedural thrillers hold a special place in my heart - especially given the fact that I love James Patterson's books. Needless to say, a strong woman detective, police psychological thrillers and a good title and cover are reasons why I picked this book up. The cover is simple in its brilliance. The bloody hand print is promising, chilling and of course made me want to read the book. The title sounded like a mockingly sad words of a serial killer - a strong meaning under a simple sentence. The prologue - (I should have expected this from the summary, though) failed to impress me in any new way. Agreed that it was from a different view point and it definitely sets the tone for the book. But sadly, and this might partly be due to the enormous number of such thrillers I might have read before in this genre, the prologue had nothing new. I just read it through like a story description instead of the spine chilling effect it should have had on me. The story from then on follows the same mood. Of course it is written well. But I could not help shake the feeling that it follows a basic formulaic plot. A psychotic serial killer who believes he has a reason to commit the murders he so ruthlessly does, a lone woman detective in a testosterone filled department, scenarios set for the detective and the killer to meet out of work and get acquainted and finally the detective suspecting the truth. But Sami Rizzo somehow fails to exhibit the shrewd acumen of a lone 'more intelligent than the men' lady detective and gets into the hands of the killer. Whether or not she gets out of the situation alive forms the rest of the story. Not to be too harsh on the story and the plot, it is quite interesting if the reader is new to the genre. There is the thrill element and then there are lots of little details that seem interesting but are additions to the story that don't offer much to the improvement of the plot as is but manage to draw the reader in. The story is true to its summary, and the language is decent. But the major complaint is that, the plot manages to become predictable and uses many cliched elements. It does not offer anything new to its readers. But overall, a great attempt and if you are not put off by the highly predictable twists and turns or the occasionally frustrating Lead Detective, you might love this book. The cover image. Simple, striking and intriguing. The police procedures, rules and details should have been written a bit more carefully. 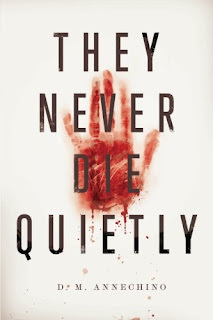 This book might interest you if you have not read thrillers before, and think that every plot element mentioned here has never been done or even tried before. But if you are an avid fan like me, please give this a miss. PRICE $1.93 for Kindle, $11.99 for Paperback. When summer draws to a close and everyone I know is thinking about sweater weather and Halloween and Christmas, I’m thinking of one thing, with both excitement and dread: NaNoWriMo. NaNoWriMo, or National Novel Writing Month, is a challenge where participants aim to write a 50,000 word novel in 30 days. There is no prize. There is no guarantee of publication. There isn’t even any guarantee of quality. So, why on earth do people do it? That’s the question I asked when I first heard of NaNoWriMo (or ‘NaNo’) in 2006. I was fifteen, and when my friend asked me if I wanted in on this challenge that she was doing, I pictured my name in lights. “Youngest contestant ever wins NaNoWriMo!” “NaNoWriMo winner given Pulitzer Prize!” When my friend told me that there was no prize for winning, I scoffed at the idea. Fast forward to 2011. By that time, I was living in the US: a newcomer, and a newlywed. I did not yet have work authorization, so I spent my days as a rather unhappy housewife. When my then-husband left for military training for several months, I found myself without a vehicle; without a job; and without anyone to clean up after (yes; these days that concept raises even my own feminist hackles). I was bored. Incredibly bored. As November approached, I remembered NaNo, and since I had far too much time on my hands – oh, how I miss those days – I decided to try it. I am now hooked. I skipped it one year – in 2012, I moved house twice in the month of November; my daughter was four months old; and I wasn’t going to take on any extra stress: I’m not a masochist – but other than that, I’ve been a ‘Wrimo’ every year since. I’ve written great things. I’ve also churned out some awful work, because NaNo, at its heart, is about quantity, not quality. But that is so freeing, and there lies the beauty of NaNo. Margaret Atwood said that if she waited for perfection, she would never write a word. NaNo doesn’t give you time to wait; because writing 50,000 words in a month is manageable only if you don’t let yourself fall behind. I’ve found that writer’s block goes away if I lose my focus on perfection and force myself to write something, anything at all; knowing that anything terrible can be edited or cut later. Sometimes, though, it sparks brilliant ideas: in my young adult novel War Wounds, a minor character developed a full back story which made her richer and more prominent, all because initially I wanted more words. During NaNo, I drive myself crazy. I start out with the best of intentions, and by the end of the month I am a sleep-deprived quivering wreck, existing on ramen noodles and coffee (because I don’t have time for things like “eating” or “sleep”). It sounds like punishment. It sounds awful. Yet, it’s the most enjoyable month of my year. Because somewhere along the way I learned something about myself. I don’t write for fame or fortune. I don’t write to see my name in glittering lights or to break records. I don’t always aim to create stunning literature. I write because it is my passion. I write, simply, because I must. The first thing I noticed in this book was, obviously, the cover. It was beautiful, fitting and of course very intriguing. The simplicity of five mugs placed in a ring actually tells a lot on what the story is about. The narrative drew me in from page one. 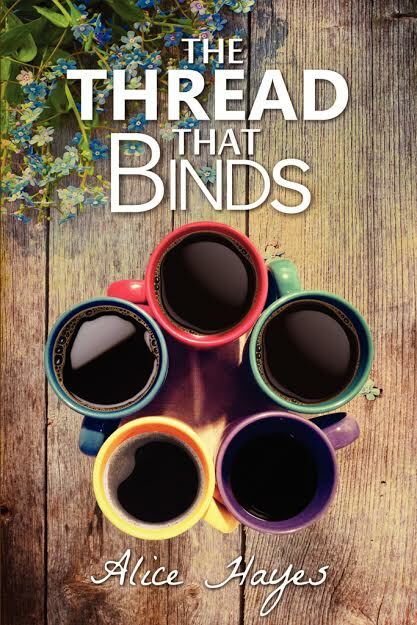 The Thread That Binds - a common link that binds five different women from various backgrounds and natives. Is it their job, the difficulties they face in life? Or the love they give and receive to others who are so similar yet so different? From page one, the book has the feel of a pleasant, poignant read. I started reading this when I went through a turbulent time and this book, strangely enough, comforted me. The story is about five women. They are all average, every day women, each with their own problems, families and issues. There is a fine line of sadness and insecurity about the future going on in their minds. Four of the women are pregnant and one, the main character (or at least I felt so) works with OB. They each meet in different circumstances and friendship develops. The thing I felt was the best part of this book was the characterisation. The 'leading ladies' are not strong in the conventional way, moving aside boulders and sacrificing themselves for the nation like wonder woman. But they are each, in their own way, strong for themselves and the people who need them. Emotional strength and empathy flows in abundance. They all have secrets in their lives, secrets they would rather keep to themselves. They come together, form bonds, realise the value of friendship, companionship and most importantly, the power of love. As mushy as this sounds, the story is not immature or childish in any way. It is not preachy or improbably poetic. These are the women you as a reader would root for. These are the women you might have known or come across somewhere. Their geographical location does not matter since the story is universal. There is one woman who is losing her mother to Alzheimers, one who is in an unhappy marriage. One woman shows us just how difficult it is to not be a citizen of US and still live in it. Yet another shows how exactly teen pregnancy can be harmful, terrifying and yet fill one with a sense of awe. Then there is the woman who plans a child birth - out of marriage. Rather than seeing them as characters of a story, the author's writing makes it possible to visualise them to be actual people. The plot does not need twists. It keeps you hooked just simply in the way it is written. The story is simple, moves steadily and keeps you engrossed for more reasons than one. But if you are an adrenaline filled crime thriller junkie, this book will make you nod off at places. So if you are going to pick this up, make sure you like the summary. And if you do decide you like it and pick it up, it will surely be a great read and will give you a lot of things to take back with you long after the book has been finished. Sometimes, it gets confusing seeing the chapters of individual characters, especially since they are not necessarily placed one after another ordered by characters. The descriptions are a bit long, sometimes. Though this is not a hindrance, this slows down the pace of the story in places. A story that will give you five different perspectives - about the same thing and the force of love that helps you through it.